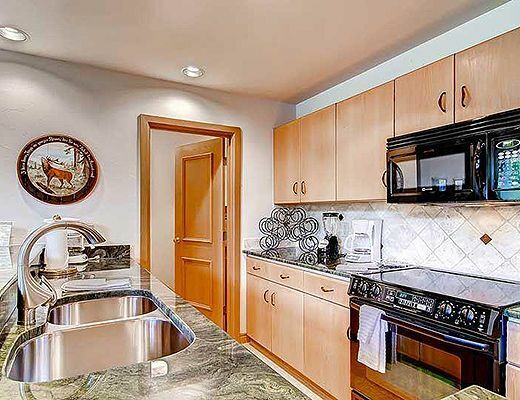 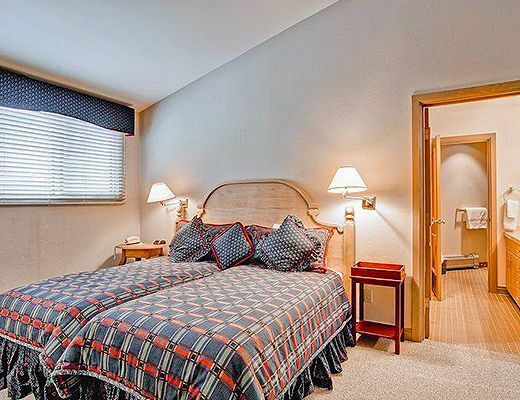 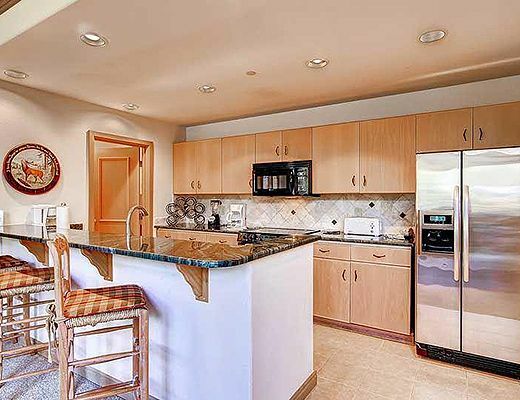 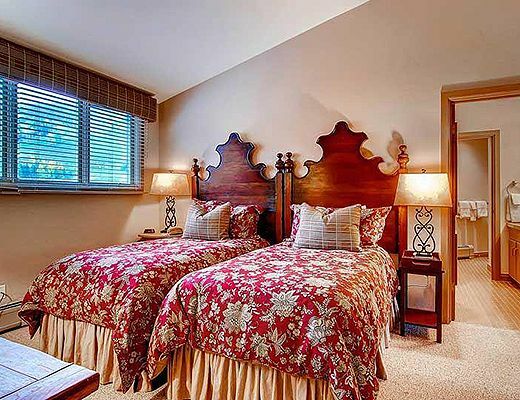 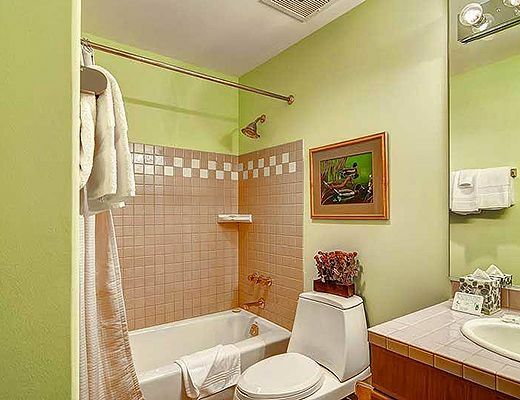 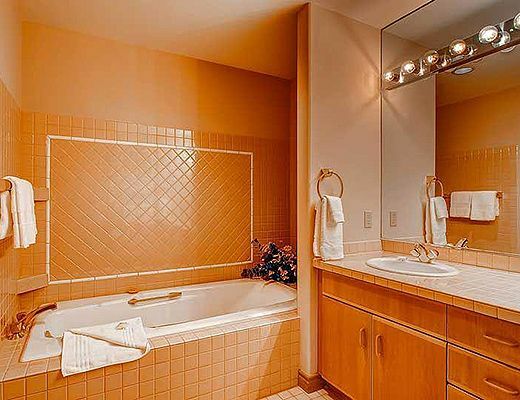 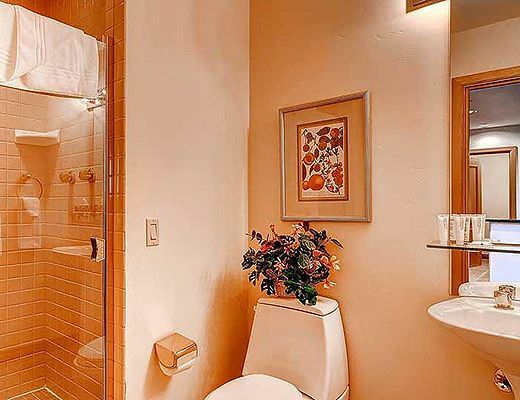 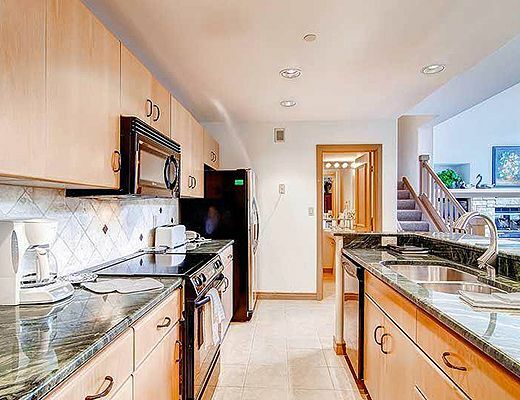 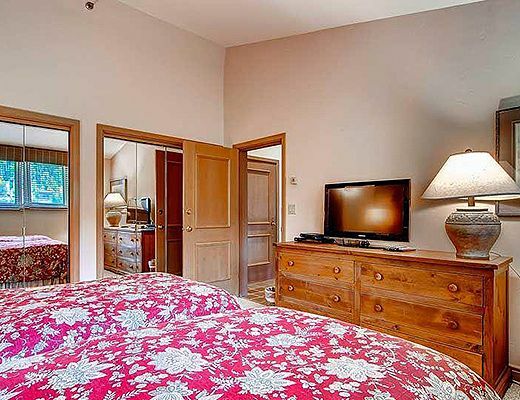 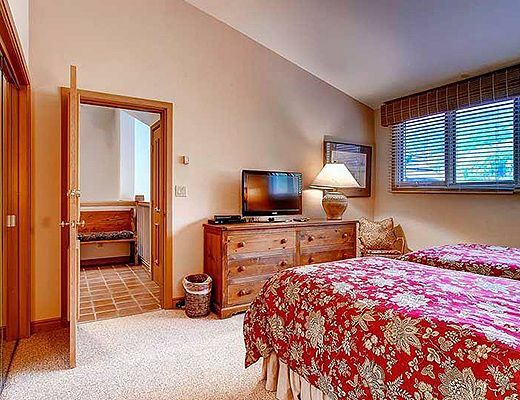 This comfortable residence is a tremendous value in a wonderful location. 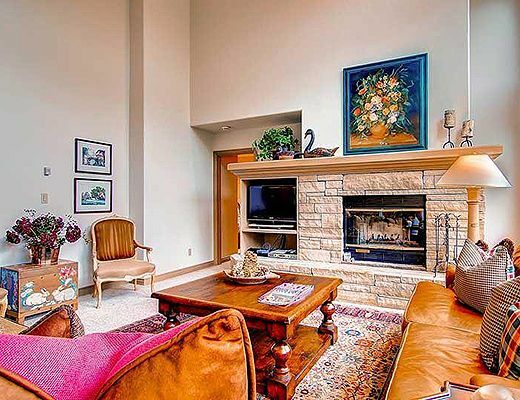 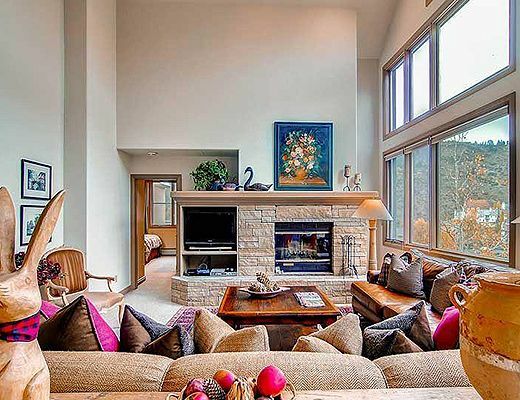 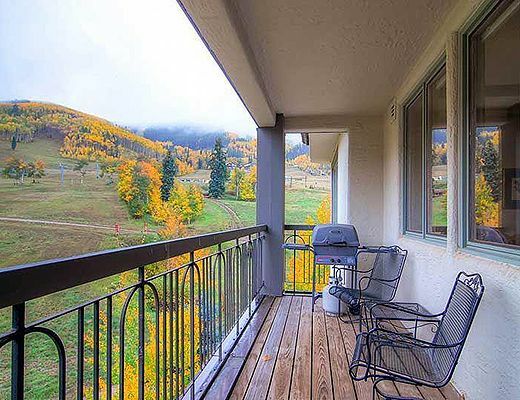 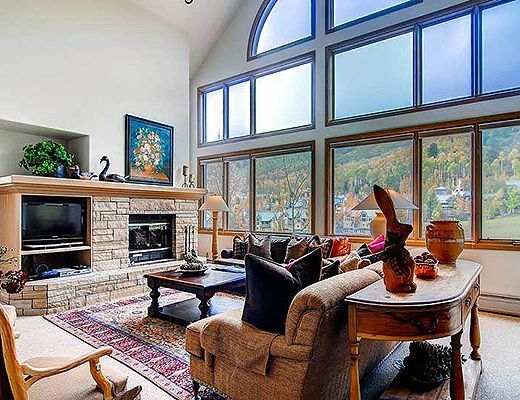 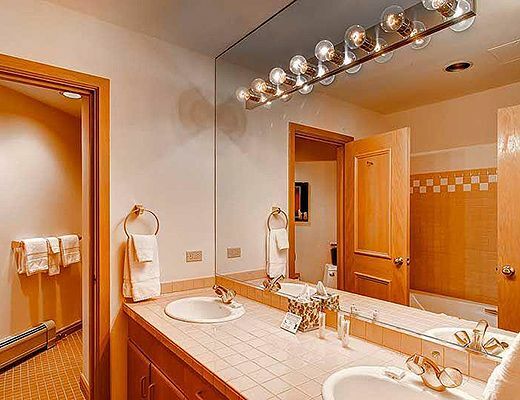 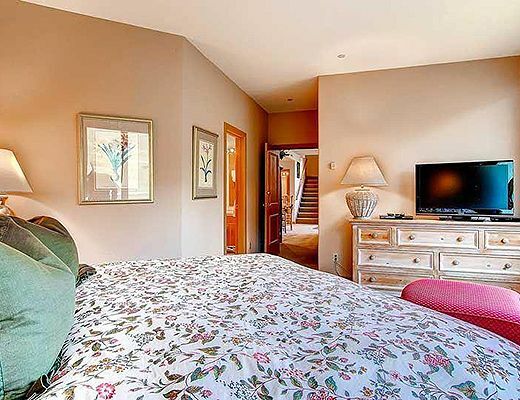 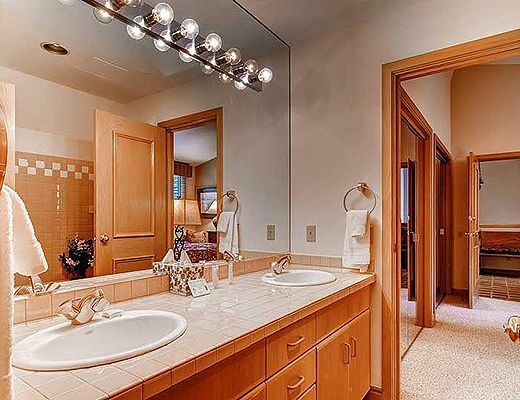 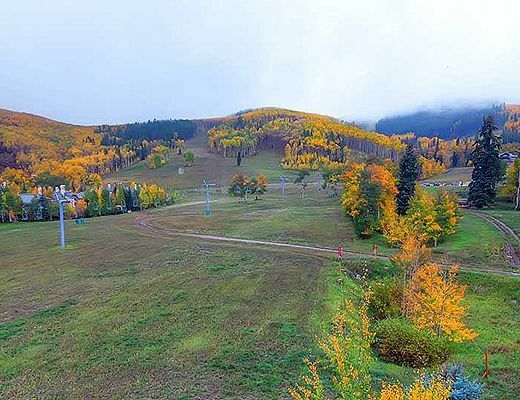 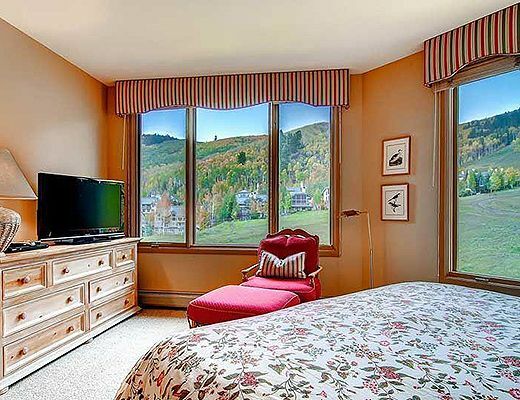 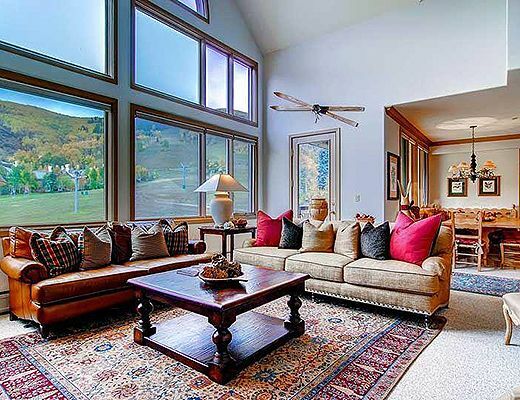 The fifth floor, two-level, three-bedroom, four-bath home has spectacular views from every room of the Highlands Chairlift and surrounding mountains to the east. 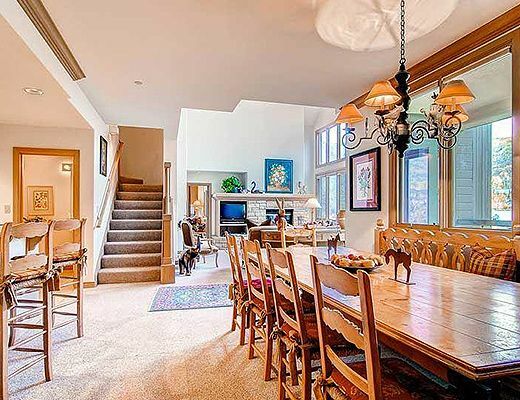 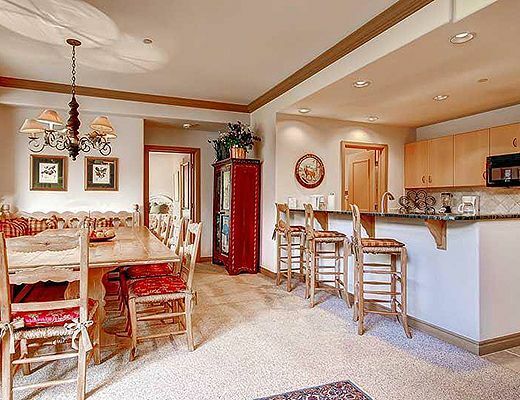 The welcoming great room has vaulted ceilings, a large, built-in dining banquet and kitchen featuring granite countertops and updated appliances. 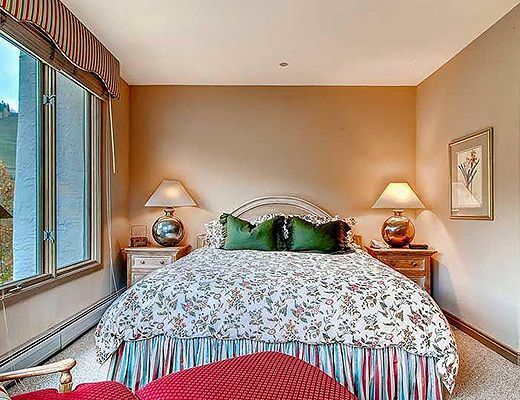 The master bedroom is off just off the dining room, with its king-sized bed and en suite bath with separate shower and soaking tub. 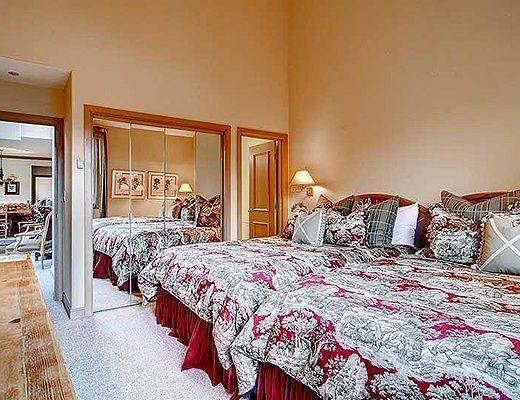 The second bedroom is on the other side of the great room and has two twin beds (that can be made into a king-sized bed if requested) and an adjoining bathroom. 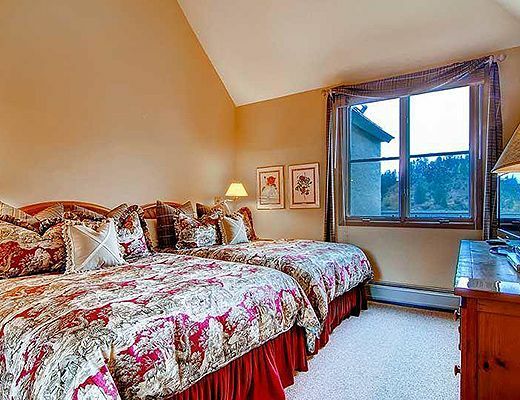 The third bedroom is upstairs off the entry and has two double beds, en suite bath and vaulted ceilings. 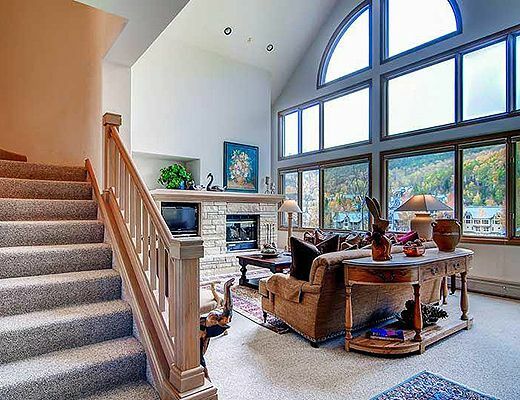 Ski access for the residence is directly from the ski locker room on the first floor to the slopes of Beaver Creek Resort.